01 STEVE McQUEEN 02 EVERYDAY IS A WINDING ROAD 03 MY FAVORITE MISTAKE 04 CMON CMON 05 YOURE AN ORIGINAL 06 STRONG ENOUGH 07 IF IT MAKES YOU HAPPY 08 LUCKY KID 09 DIFFICULT KIND 10 HOME 11 WEATHER CHANNEL 12 ALL I WANNA DO13 SOAK UP THE SUN 14 THERE GOES THE NEIGHBORHOOD 15 SAFE AND SOUND 16 ROCK AND ROLLrecorded live at Budokan Hall, Tokyo, Japan, October 24,2002While the gifted songwriter plays most instruments herself, her self-written songs keep growing in quality: still rooted in traditional American folk rock, their outlines become clearer,her lyrics more personal and atmospheric. The support tour for her album C'Mon C'Mon took her to Japan where she played a celebrated, sold-out show at the legendary Budokan Hall in Tokyo. DELUXE VINYL EDITION!! !This riveting radio broadcast recording comes from an October 1994 performance at New Britain, Connecticut's 1,200 capacity club, The Sting. 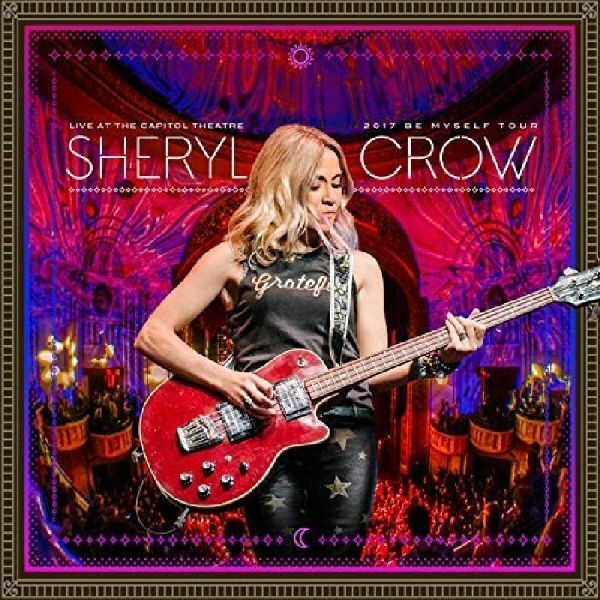 A dynamic 10-song set captures Sheryl Crow and her band blazing on all cylinders at this early and crucial stage in her development as a major artist. Sheryl spent the bulk of the year touring the USA as opening act for the likes of Crowded House, Bob Dylan and Joe Cocker, but this concert was a comparatively rare headline appearance.